Welcome to the Kindle Paperwhite Giveaway! Want to win the best eBook reader? 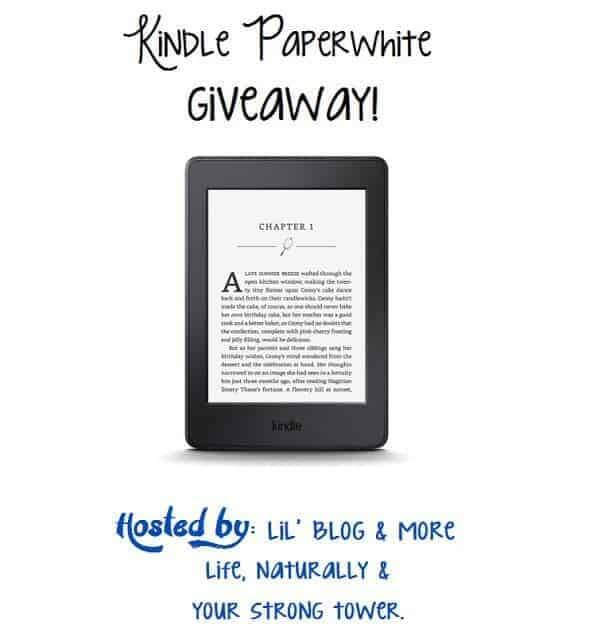 Enter below to win Kindle Paperwhite giveaway. Hosted by: Lil’ Blog and More, Life, Naturally, & Your Strong Tower. 1 lucky winner will receive a Kindle Paperwhite. I would load my Kindle with many books. Never owned Kindle before. Cash? I thought I was entering for a kindle. I would love t win this as I only have the first version Kindle and it’s not working so well anymore. Time to update! I would use it for something for the house. I have several Kindles. I’d like a paperwhite one though. Extra cash is always good for buying staples. If I won cash I would buy some new ebooks I’ve been wanting. Yes, I own a very old model Kindle right now. Thanks for the chance to win!